Corporate eLearning / What Is The Forgetting Curve (And How Do You Combat It)? 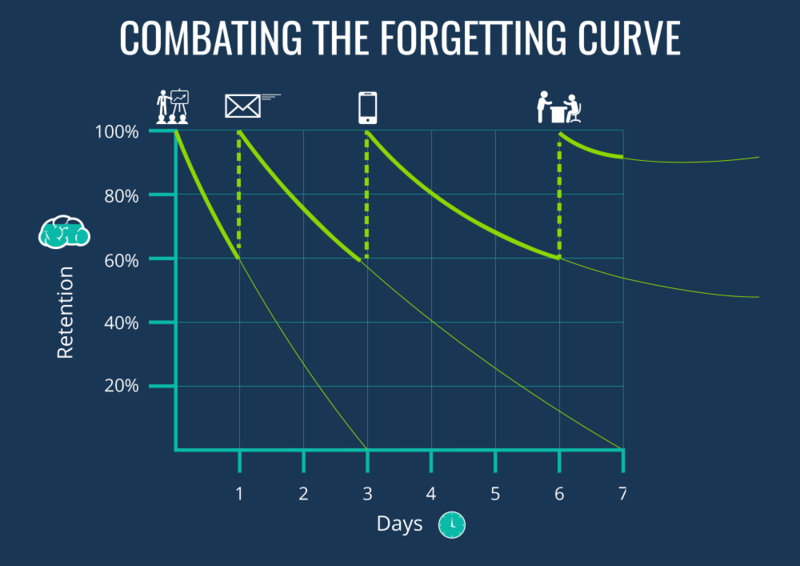 What Is The Forgetting Curve (And How Do You Combat It)? What is the forgetting curve? In this installment of the online learning glossary, we look at one of the biggest challenges met in the training community. 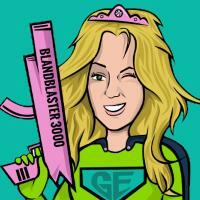 Here, we’re looking at one of the biggest bugbears in the training community. Ebbinghaus’ forgetting curve, or simply 'the forgetting curve' shows how information is lost over time when you don’t try to retain it. If it wasn’t for the forgetting curve, your learners could take an eLearning unit once, and it would stick in their brains first time. 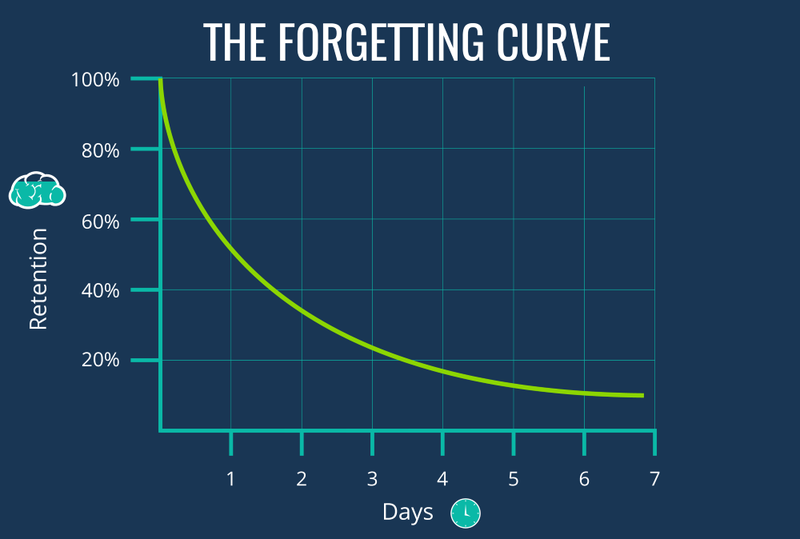 But life would be boring if everything was that easy, so in a funny way, we’re lucky to have the forgetting curve! Now, contrary to appearances, Ebbinghaus didn’t invent a fun slide. He’d actually discovered the nature of memory loss over time. The graph illustrates that when you first learn something, the information disappears at an exponential rate, i.e. you lose most of it in the first couple of days, after which the rate of loss tapers off. People can recall stronger memories for a longer period than weaker ones. When it comes to corporate training, the learning content should be highly relevant to each learner and it should have some meaning. 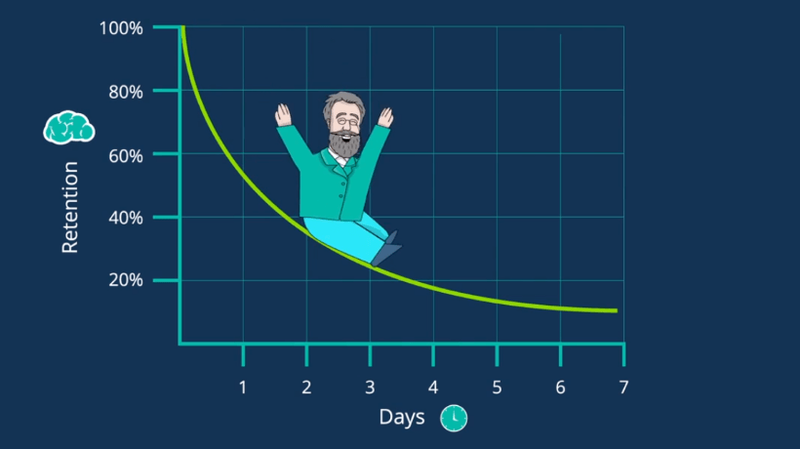 In a training context, the forgetting curve shows that learners will forget an average of 90% of what they have learned within the first month. And you were wondering why your training program wasn’t having the impact you’d hoped it would! In a lot of cases, training is a 2-way street. The training managers are on their own journey of discovery, trying to find a training solution that works for their learners. As with so many things, knowledge is power! Now, that we know how memory works, we can do something about it! Here are 4 ways you can leverage spaced repetition to improve recall in your training initiatives. Ebbinghaus discovered that information is easier to recall when it’s built upon things you already know. Every time you reinforce the training, the rate of decline reduces. The testing effect says that by simply testing a person’s memory, that memory will become stronger. Staging frequent training interventions as part of a learning campaign helps solidify the information through active recall. Make the information easier to absorb in the first place. If you learn something from an essay or an article, it’s easier to forget the meaning or miss it entirely. Try to represent your information in a diagram, or create a video describing the learning objective. Better still, practice writing shorter copy—edit your longer articles and assets, and try to delete any text that you don’t need. Once you’ve done that, you can even split the article into several points, and push each one as a piece of bite-sized learning content. An off-the-shelf learning resource won’t have the same impact as a custom-made one. 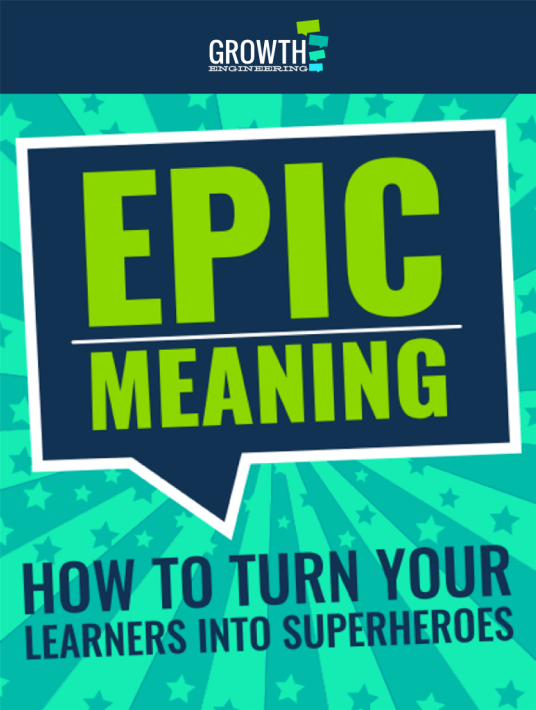 In every piece of training you produce, never forget the core purpose of your organization, what we call the Epic Meaning. This works in 2 ways: the more relevant the training, the easier it is to recall, and the common focus continually encourages the behaviors that are important to your business. 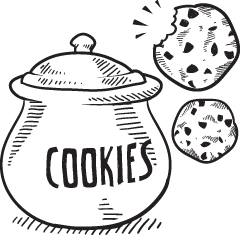 People learn better when they’re actively involved than when they’re just passive observers. If you don’t give your learners an opportunity to interact with the content, they’ll just drift off and lose concentration. Adding elements of gameplay to the learning is a great way to keep the learner involved and they might even enjoy the training! If you want more ways to improve retention in your training, check out this article for a few handy tips.